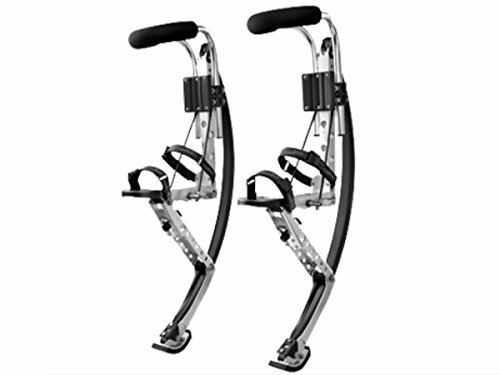 In this post, we examined 5 of the best-selling jumping stilts. We'll dive into how to use them and how the most popular brands compare. Jumping stilts (also known as bio-mechanical stilts, bouncy shoes, spring stilts or PowerSkips) are special types of tilts that allow the user to jump, run or perform acrobatic stunts. They were invented by Alexander Bock, an aerospace engineer and are commonly used in Powerbocking sport named in remembrance of the inventor. In 2004 special types of jumping stilts were invented. They incorporated fiberglass leaf springs and were sold under the trademark “PowerSkip” and marketed for both extreme sports and recreational purposes. The bio-mechanical stilt legs are in most cases made of aluminum. How do spring stilts work? This short guide will equip you with general information on how to use (walk, jump and run on spring stilts. Make that you have everything you need before getting started. You will need safety gear such as helmet, wrist guards, knee pads, elbow pads, and the jumping stilts. 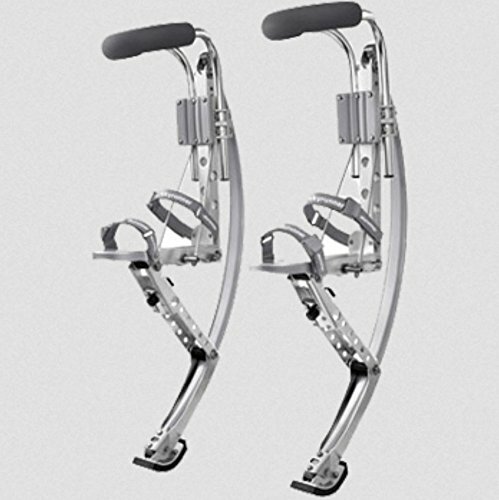 Sit on something like stool or stair and put on the bio-mechanical stilts. Then use the Velcro straps to fasten your legs and shoes to the spring stilts. If you find this step somehow challenging, have a friend to help, you gear up. Have your friend help you stand up- on flat terrain and preferably asphalt ground. Holding on to your friend or a wall take small baby steps on the bio-mechanical stilts. Ensure that your legs are wide apart so that the jumping stilts don’t touch each other. When walking on your own, make sure that each hoof is firmly on the ground when you take a step. Have someone nearby just in case you trip. It’s time to take some jumps once you are confident that you can walk on your own. But take the little jumps while holding on to a wall or your friend and once you’re able to make those baby jumps without holding on to something, now try to take some bigger jumps. Hurray!! You made it. Now you can walk and learned to take bigger jumps, keep on practicing until you feel comfortable making even bigger jumps, rinse and repeat the steps, but try walking quickly making some jumps in between. So you’re planning to get yourself some of the best PowerSkips but have no idea where to start? Worry no more. Here is a guide to aid you find the best spring stilts for a fantastic experience. Bionic boots have springs specially designed to support different weight categories. If you weigh 185 pounds, you shouldn’t buy stilts designed to accommodate up to 100 pounds- simply because they will crumble under your weight. There are spring stilts designed for adults, youths, and kids. The rule of thumb when it comes to buying stilts capable of supporting your weight is to add ten kilograms to the actual weight recommended by the manufacturer. Looks can be deceiving, and same applies when it comes to buying jumping stilts. Make sure that you purchase something with a sturdier frame that can support your weight even when doing those acrobatic stunts. There are different bounce types: self-adjusting, soft and harder bounce and the appropriate one can only be determined by how you would like to bounce. But remember fast speeds and high jumps can only be achieved best with the harder bounces and not the soft bounces. 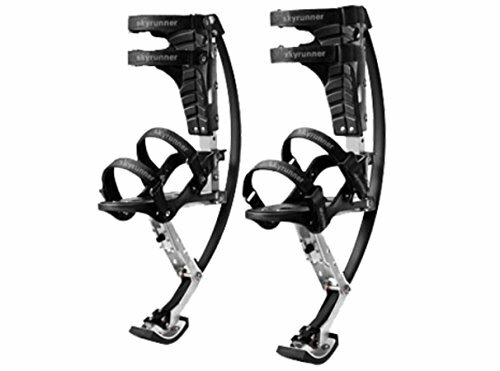 Bio-mechanical stilts are equipped with springs made from carbon fiber or fiberglass. While fiberglass is still strong, it’s robustness and longevity is not the same as that of carbon fiber. That’s why professionals who want to perform complicated acrobatic stunts will go for carbon fiber due to their resilience, unlike fiberglass. If you’re a beginner, the spring types shouldn’t be a bother because you won’t be performing complex stunts and you can replace them with time as you master the stunts. Your primary objective of buying spring stilts is to enjoy the excitement that comes with power jumping and also enjoy the health benefits of exercising. Therefore it’s essential to check whether the spring stilts have padding to prevent your feet from developing blisters due to friction. How much do you want to spend on your new pair of spring stilts? 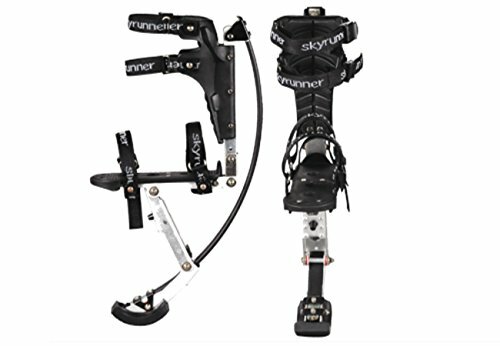 While some believe that the most expensive bio-mechanical stilts are made of high quality and durable material, you can still get affordable spring stilts made of premium components as well. First things first, when you put them on make sure the buckles are on the outside. After that you should definitely have some type of padding- the minimum that They are going to suggest is elbow pads and helmet. Optional are knee pads and wrist guards. At this point, when you initially attempt to stand, you’re going to want something you can sit on, which means that your knees are fairly level with your hips. Doing this, when you stand it’s much simpler for you to stand up on your own. Now, when you do, they recommend your standing next to something fairly tall that you can latch on to- and make sure it’s not walking distance away. You’re going to want it to be right next to you- by doing this, you can actually move each foot individually and get a feel for balance. Once you feel confident up-standing on your own, you don’t have to keep hold of anything to stand up. You’re going to want to attempt walking. Make sure this is a short distance and that you’re not really overstepping your bounds- plus you are going to want something in the distance that you can aim towards. Once you get over there, you aren’t standing on your own you are also going to want someone to go walking with you along the way. If you fall, you’ve got an individual to help you get back up. Now, the video creator also covers how to stand up on your own without anyone there. If you fall, the very first thing for you to do is put one leg out in front of you and get one to prop yourself up on the knee of your back leg. Then it is going to be one swift motion, so you prop yourself back up on this spring and push yourself under this leg. They warn you- this is most likely the toughest thing to do in these. You’re not going to get it your first try now and there you have it. Regarding running, it’s relatively very similar to walking but you are running, you are going to shift your weight forward and make certain your ankles keep straight. If you attempt to move your ankles while running it is going to cause a lot of pain, so make sure you keep your strides long strides are long. After having mastered that, you are going to want to try jumping now. It’s a bit more complex. So they recommend you get a lot of experience on them before you even attempt this. You want to start out on one leg: there is the simple hop. Once you have got this down- it’s just like bouncing on a trampoline. Since you now feel fairly comfortable at this, you can experiment trying performing a 360, which is done by simply just shifting your weight mid-jump.